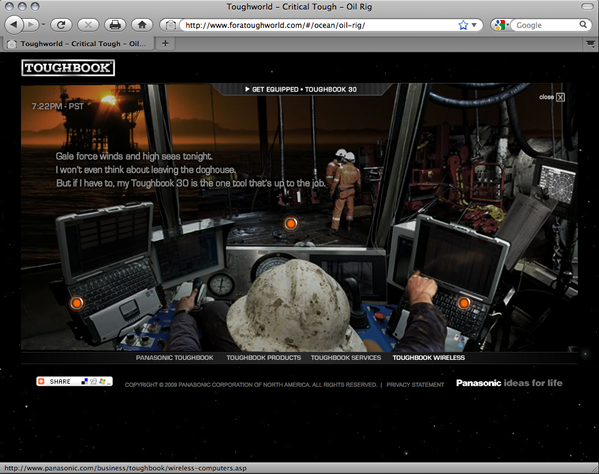 It's a Toughworld out there. 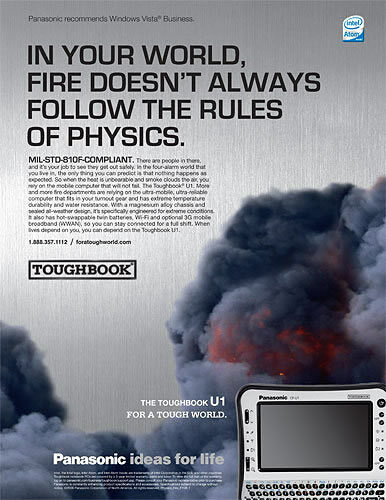 Panasonic wanted its users to know that they were in good company when it came to product use. 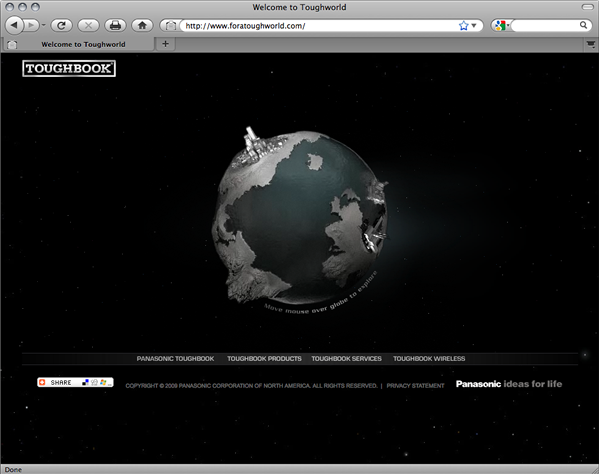 Foratoughworld.com gave a glimpse into that world, it's people, their industries and the way in which they used the product. 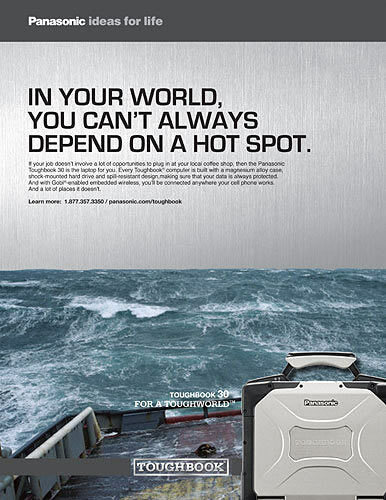 A TV spot was created for general awareness and drive to web while print ads helped with awareness across the multiple verticals. 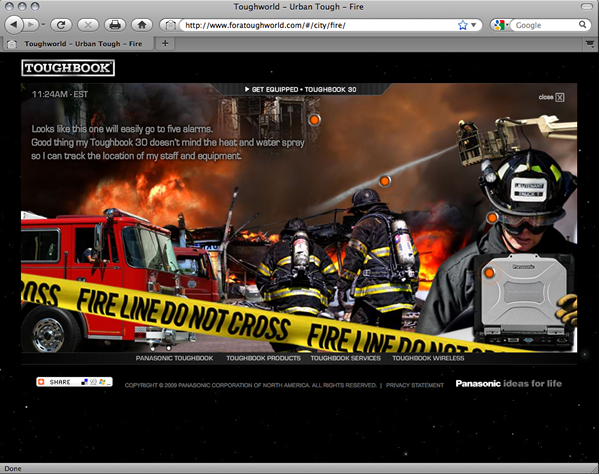 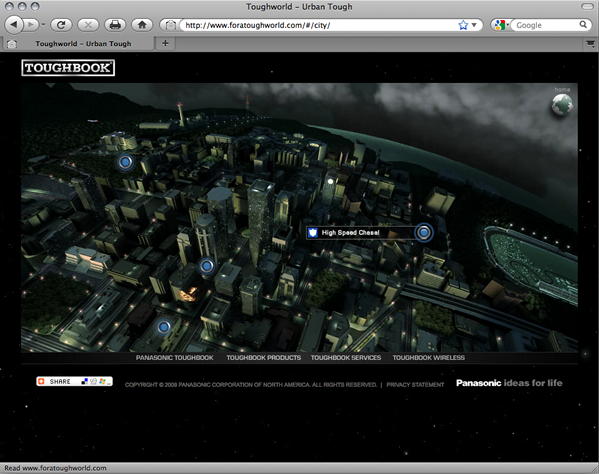 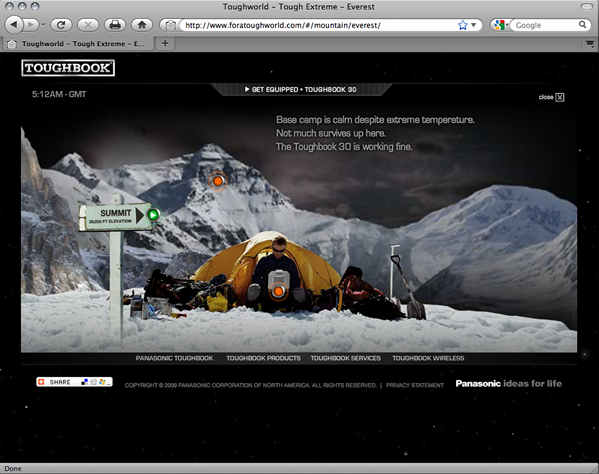 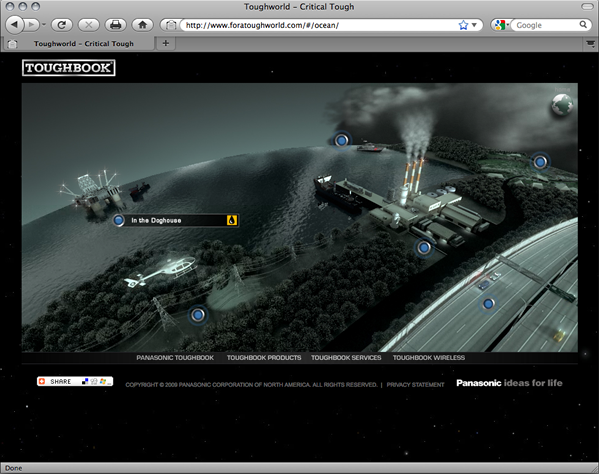 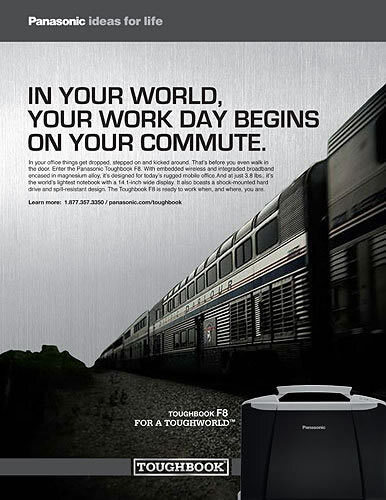 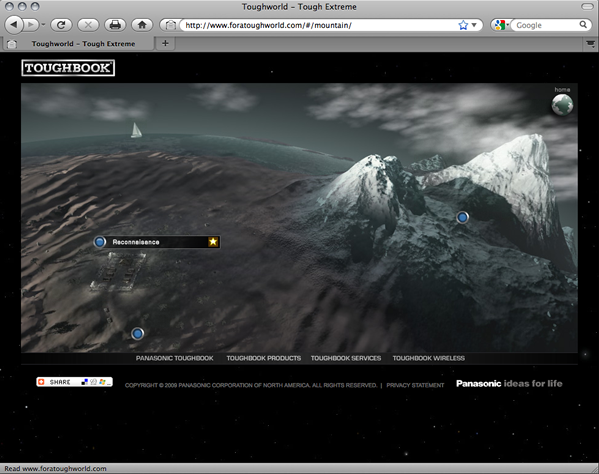 Panasonic Toughbook: ToughWorld: Urban Tough - A Fire!